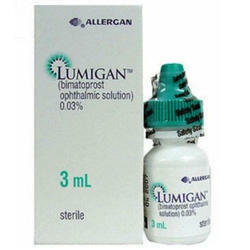 We are a leading Manufacturer of lumigan eye drops, cymevene inj, restasis drop and lumigan eye drop from Mumbai, India. It is treating increased pressure in the eye (ocular hypertension) and open-angle glaucoma. Bimatoprost drops are a prostaglandin analog. 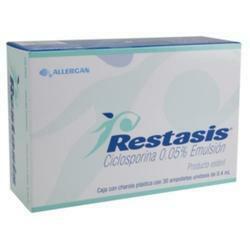 Prostaglandins are a group of chemicals found in many places in the body. In the eye, they increase the drainage of the aqueous humour out of the eyeball. Bimatoprost is a synthetic compound related to one of the natural prostaglandins, and works by increasing the drainage of aqueous humour out of the eyeball. Bimatoprost may also lower the rate of aqueous formation in the eye. Both these effects decrease the pressure within the eye. 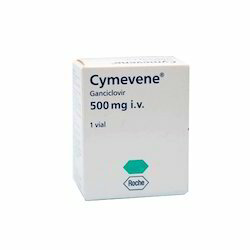 Cymevene Injection is a medicine that is used for the treatment of Cytomegalovirus infections, AIDS, Inflammation of the cornea of the eye, Herpes virus, Patients undergoing transplant for prevention of CMV retinitis and other conditions. Cymevene Injection contains Ganciclovir as an active ingredient. Cymevene Injection works by blocking the viral DNA replication. Inactives: glycerin; castor oil, polysorbate 80, carbomer copolymer type A, purified water, and sodium hydroxide to adjust pH. Changes in eyelash growth; cold symptoms; eye burning, dryness, itching, or redness; feeling of having something in your eye; headache; increased tear production. Store bimatoprost drops between 36 and 77 degrees F (2 and 25 degrees C). Store away from heat, moisture, and light. Do not store in the bathroom.